This is a rectangular Beaver Lumber porcelain sign. 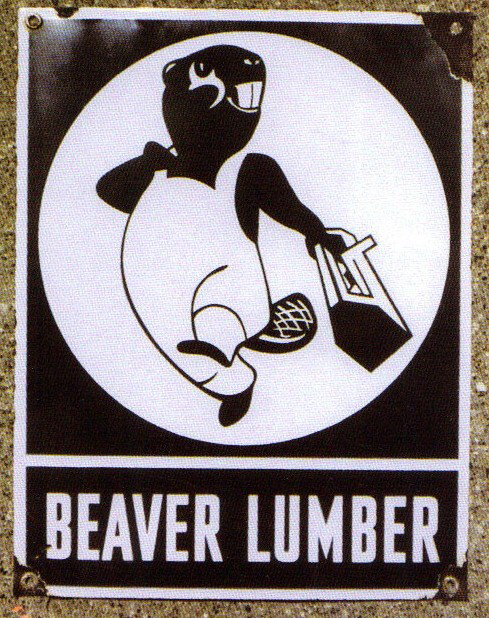 This particular Beaver Lumber sign is black and white. It reads, “Beaver Lumber” and features a smiling beaver dressed in overalls carrying a toolbox.